2017 seems to be mobile consumer every other day mobile operators are launching new recharge offers for consumers, ultimately end user will be benfited with these new mobile recharge offers, check below for the all new recharge plans from Airtel Vodafone Jio Idea BSNL Aircel. Rs 145 recharge: Unlimited calls across India(Airtel to Airtel) with 300 MB 4G data. 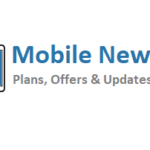 3GB free data, unlimited calling(STD+Local) on recharge of Rs 345. 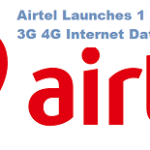 Free data worth Rs 9,000 for 12 months to an user who joins Airtel 4G network. Every new and existing Jio user will get Jio’s data, voice free till March 31, 2017. Super hour offer- Unlimited 3G/ 4G data for an hour at Rs 16, unlimited local calls(home network) at Rs 7. Rs 144 to Rs 149 plan- unlimited local and STD calls with 300 MB of 4G data. Rs 344 to Rs 345 plan- unlimited calls to any network with 1 GB of 4G data. On Rs 148 recharge: Idea-to-Idea unlimited local and STD calls + 300MB 4G data. All this will fetch you free data worth Rs 9,000 for a year on a new 4G handset. In its Rs 144 plan- 300 MB 3G free data, unlimited local and STD calls to any network for a month. For Rs 339- free voice calls across India to any network with 1 GB 3G data. Recharge with Rs 348- unlimited calling+ 1.5 GB 4G data for 28 days.